Comments: Conifer, native to both China and Japan. It is cultivated in Japan in plantations for timber. 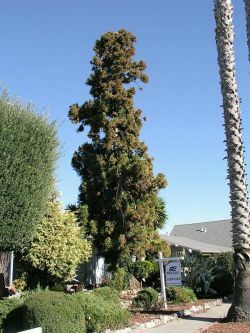 It is a graceful tree, fast growing to 100', having bright green to bluish-green, short needle-like leaves.